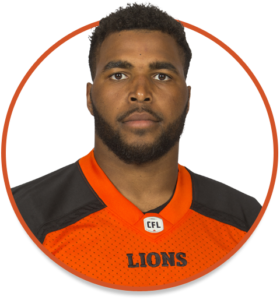 Jordan was selected by the Lions in the seventh round (60th overall) of the 2017 CFL Draft. Jordan signed a contract extension on November 14, 2018 to keep him in Orange and Black through the 2020 season. 2018: Jordan came into his own during his second season with the Lions. The former SFU star appeared in all 18 regular season games, starting 11 games at linebacker for BC. Jordan posted a career high 56 defensive tackles and two sacks during the regular season. He continued to be a strong performer on special teams, placing second on the club with 17 special teams tackles. 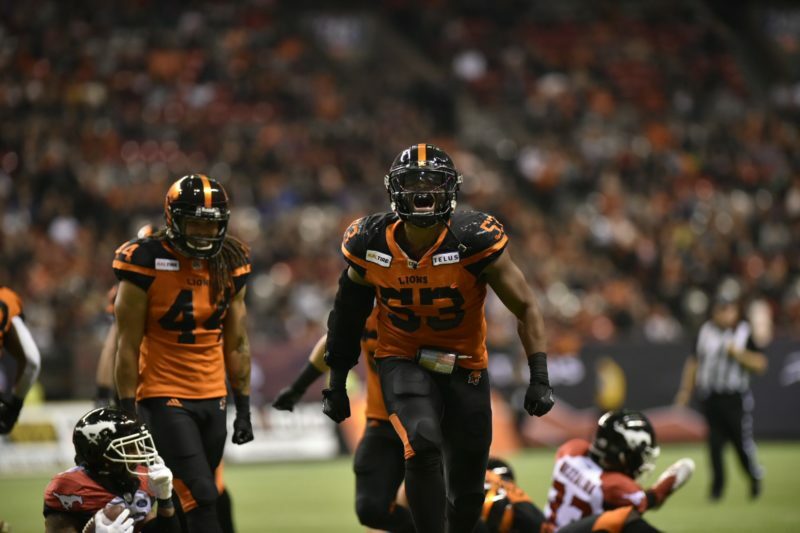 Jordan made his postseason debut against the Hamilton Tiger-Cats in the East Division Semi-Final, ending with four tackles. 2017: Jordan had a very effective rookie season for the Lions, dressing in all 18 regular season contests and serving primarily on special teams. Herdman notched 19 special teams tackles in 2017, good for the second highest tally on the team behind only Chandler Fenner’s 27. Remarkably, he had at least one special teams tackle in 14 of the 18 games. Jordan also recorded a pair of tackles on defence while serving as the primary backup to Solomon Elimimian at middle linebacker for much of the season. 2013-2016: Easily the most productive defensive player in the history of the SFU program, Jordan was twice named the Great Northwest Athletic Conference Defensive Player of the Year. The Winnipeg, MB native set numerous GNAC records during his four-year career, including the all-time marks in tackles (428) and assisted tackles (223). Jordan is also the proud owner of the single game conference records for total tackles and solo stops with 26 and 17, respectively. He was named a member of the Division II All-America second team in each of his final two years and also earned a spot on the GNAC All-Academic Team in three consecutive seasons. Not surprisingly, Jordan put together a remarkable senior season with the Clan. He racked up 113 tackles, 12.5 tackles for a loss and 3.5 sacks across 10 games in 2016. Jordan also forced three fumbles and recovered a pair of loose footballs. Following his stellar collegiate career, Jordan was invited to participate in the Senior Bowl in Mobile, AL. He was the first SFU alum to ever appear in the prestigious American college all-star game. Jordan worked extremely hard on and off field as a student-athlete at Simon Fraser University, exiting with a degree in Biomedical Physiology. As a youngster, people would refer to Jordan as ‘Tyson’ for his ability to hit opposing players with the same veracity as a punch from legendary boxer, Mike Tyson. His most memorable moment on the football field was establishing a GNAC record by notching 26 tackles in a single game against Humboldt State. An avid fan of rap music, Jordan cites J Cole as his favourite musician. Jordan comes from a tight knit family and he says he can always rely on them for their support. Away from the field, you might find Jordan hiking the Squamish Chief Trail or any of the other trails around Vancouver.